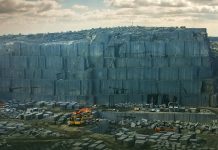 China absorbs the greatest part of global marble block and slabs exports, therefore determining the growth rate of the global market. 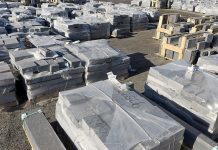 Stonenews.eu, after collecting and studying data from the International Trade Centre and the National Statistical Institutes, is presenting the growth in China’s Marble Blocks & Slabs imports between 2016 and 2017 as well as the 2017 shares in value and quantity. From 2001 to 2013, there was a big raise in China’s marble blocks and slabs imports. It is worth noting that between 2001 and 2013 the import value increased enormously by +698% and the quantity even more, by +830%! However, the price per ton, affected by the huge amount of imports, decreased by -8,5%. In 2017, compared to 2016, China imported marble blocks and slabs in higher price per ton by +9%, raising at the same time the value by +42% and the quantity by +30%. 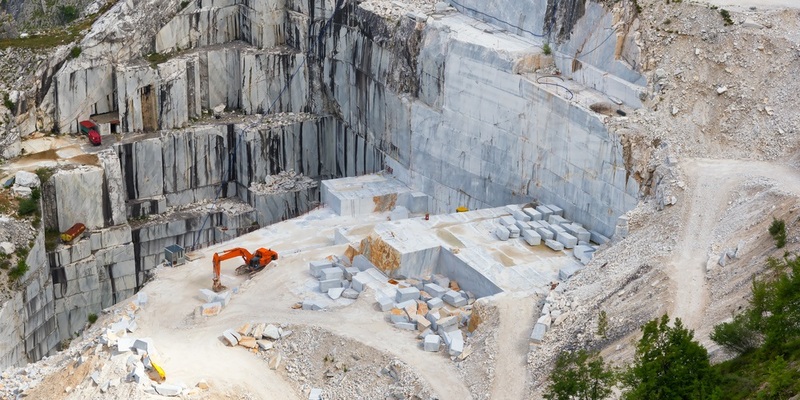 The rapid rise of China’s marble blocks and slabs imports altered the global industry by giving a boost to exports of all countries mining and exporting marble. 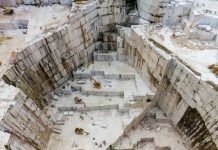 China virtually monopolizes global exports of marble blocks and slabs determining this way the growth rate of global market. 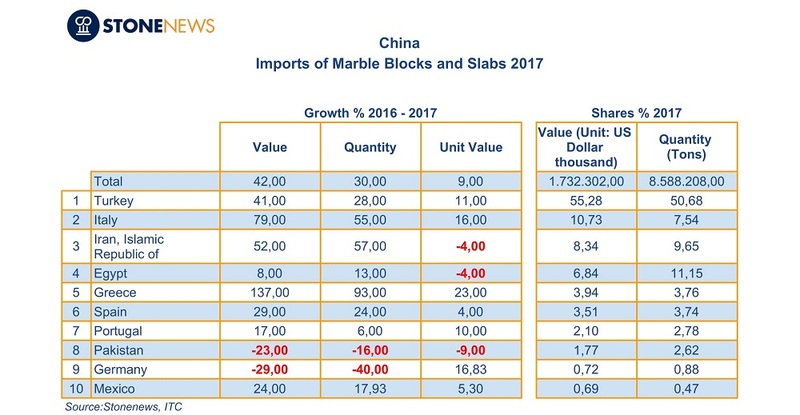 The table below shows the top ten countries exporting marble blocks and slabs to China in 2017, according to shares in import value. As shown at the table, in 2017, compared to 2016, China imported Marble Blocks & Slabs in higher price per ton from Greece by +23%, from Germany by +16,83%, from Italy by +16%, from Turkey by +11%, from Portugal by +10%, from Mexico by +5,3% and from Spain by +4%. On the contrary, China imported in lower price per ton from Pakistan by -9%, from Egypt by -4% and from Iran by -4%. In 2017, China imported Marble Blocks & Slabs from 61 countries. 84,13% of total import value was under HS Code 251512*, 14,69% under Code 251511* and the rest 1,18% under Code 251520*.